Hollywood actress Sharon Stone is one of a growing list of celebrities who can now be seen wearing Ed Hardy Sunglasses. Don Ed Hardy is an American artist who is best known for his work in the tattoo world with incredibly intricate and detailed designs. Ed Hardy has branched out into the fashion world to include some of his best work as the main focus on apparel and accessory products such as Sunglasses. Here, Sharon Stone is seen wearing the Ed Hardy Sunglasses – EHS001 Skull and Roses, which features a Skull on one side and Roses on the other (seen in this photo). 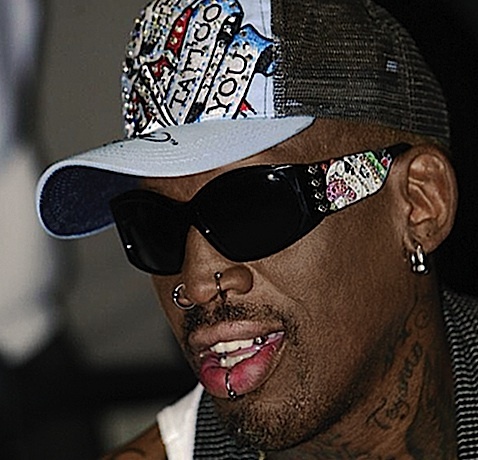 Other celebrities who have been seen wearing Ed Hardy Eyewear include Dennis Rodman (above wearing EHS006), David “The Hoff” Hasselhoff, Kim Kardashian (below), Ludacris, Mickey Rourke, Vanessa Hudgens, Jordin Sparks and American Football Quarterback Eli Manning. Why not check out this interesting brand on SelectSpecs if you’re looking for something completely different. Ed Hardy eyewear is also available as prescription eyewear. Ed Hardy sunglasses look so hot and trendy!!! the rim is unforgettable!!! i'd like to have a pair of them.